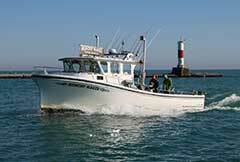 The Memory Maker is a 2000 Donelle Sport Fishing Boat with a spacious deck. As an owner and operator I believe that comfort along with seaworthiness are two of the most important tools that a charter boat should offer. 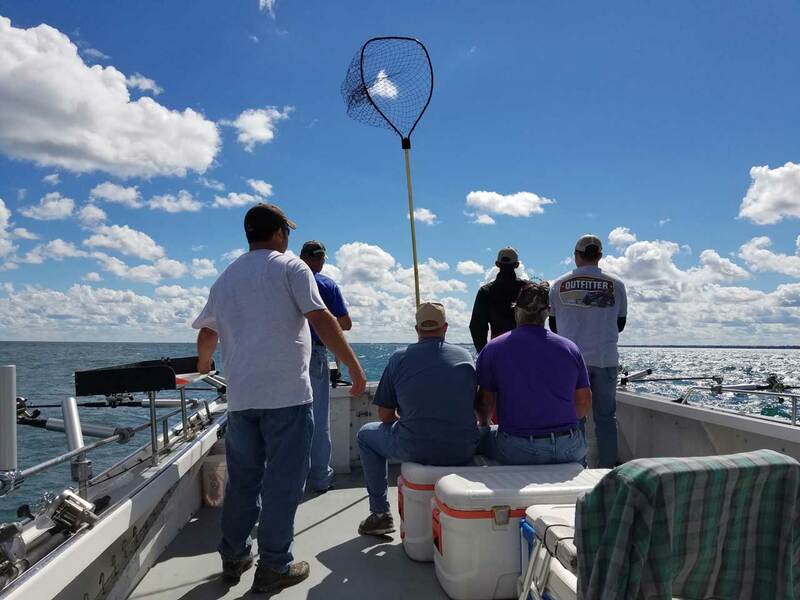 As you view photos of the Memory Maker, note the large fishing deck that enables customers to fight fish and net fish with ease. This causes less stress on the fisherman. When able to maneuver and comfortably assist, net, or land a fish, the captain is allowed to set lines more quickly and efficiently. Remember if your lines are not in the water, you're not fishing. The Memory Maker is also outfitted with plenty of room for coolers and extra gear that you "the fisherman" would like to have on your outing. The Memory Maker is also equipped with a private washroom facility and a comfortable heated wheelhouse, which allows the fisherman to be out of any increment weather that may occur during their outing. Safety is always first, Memory Maker Charters is equipped with Sirius Weather Radio 24/7!